SAN JOSE, Calif. – August 27, 2018 – SLI Systems (SLI.NZ), a leader in online retail product discovery solutions, today published a new report on the state of e-commerce. 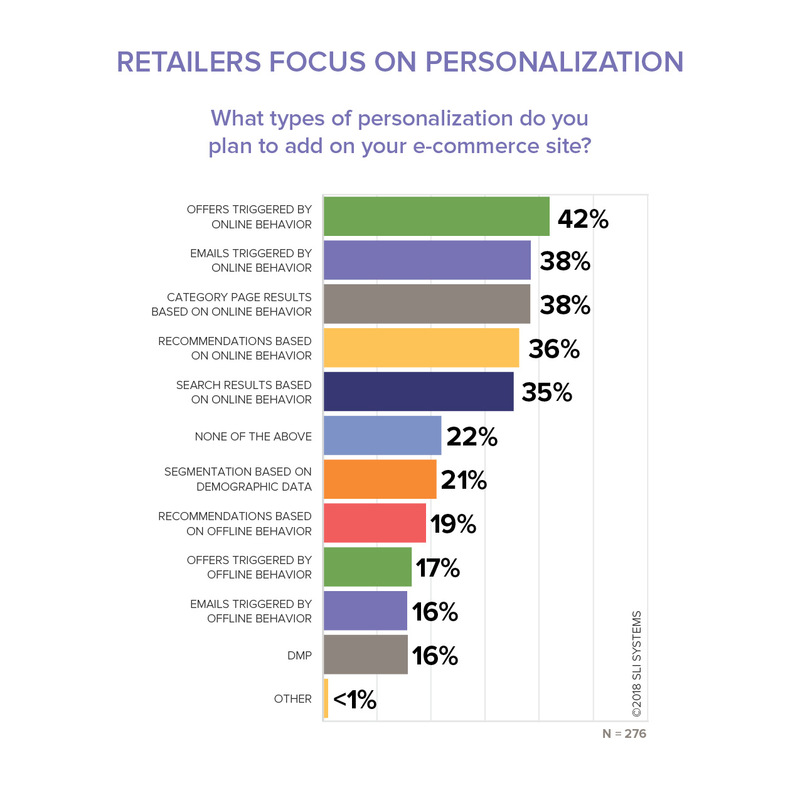 Based on recent survey results from hundreds of mid-sized retailers, the H1 2018 E-commerce Performance Indicators and Confidence (EPIC) Report highlights top focus areas for the year, including: how retailers feel about heated competition from Amazon, the investments they are making in new technology, how mobile initiatives have changed from last year, and retailers’ approaches to personalization. The full report is available for download at www.sli-systems.com/ecommerce-research. SLI Systems (SLI.NZ) accelerates e-commerce for the world’s top retailers by generating more traffic, converting shoppers into buyers and maximizing order values. The SLI Product Discovery Suite uses sophisticated machine learning to predict what each shopper is most likely to buy right now, and includes solutions for improving site search, navigation, mobile, merchandising, recommendations, and SEO. The SLI Commerce Console™ organizes key sales insight and tuning capabilities into one easy-to-use control center. For 17 years, established brands have trusted SLI Systems to deliver innovative features, knowledgeable service, and reliable SaaS-based infrastructure, that delights customers and increases revenue. SLI operates on five continents, in 20 languages, and is a leader among cloud-based site search providers to U.S. Internet Retailer Top 1000 retailers. For more information, visit www.sli-systems.com.